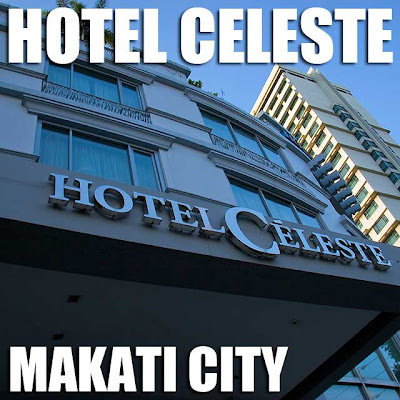 Hotel Celeste is the newest haute couture hotel in Makati. I was lucky enough to stay a night in this really classy and avante-garde botique hotel. While the rooms may seem pricey, when you get to see them, you'll know why it's a hit among many foreign business travelers. In fact, I had a hard time getting a booking since almost all the rooms were fully-booked. There are five elegant suite rooms named after French queens namely Marie Antoinette, Eleanor, Catherine, Blanche and Isabella. Each room has its own character, all generous in size with wonderfully hand-painted interiors. The 25 deluxe rooms also have surprises of their own. 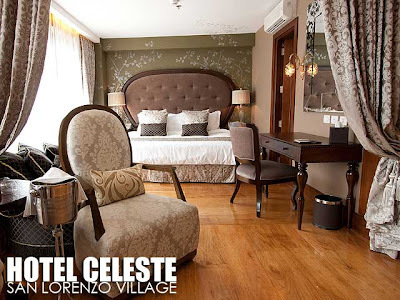 Each room has a 32-inch LCD TV with cable and an iPod dock among others, while bathrooms are sticked with L'Occitane bath amenities. 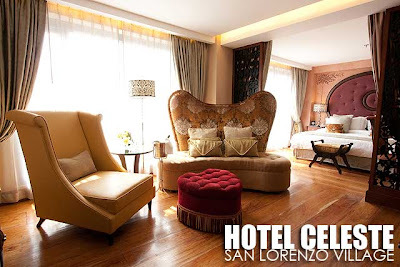 And the hotel is conveniently tucked beside Greenbelt and Makati's financial district, at the entrance of San Lorenzo Village.